Spring break is like an oasis in the middle of the desert. Students of all ages are trekking through the desert of college. They are weighed down by the heat of classes and the fear being bit by the snake of bad grades. Then just as midterms threaten us in; we see it. There, right in the middle of this dessert, is an oasis. A whole week to catch up on classes and rest. My spring break was spent mostly on campus. 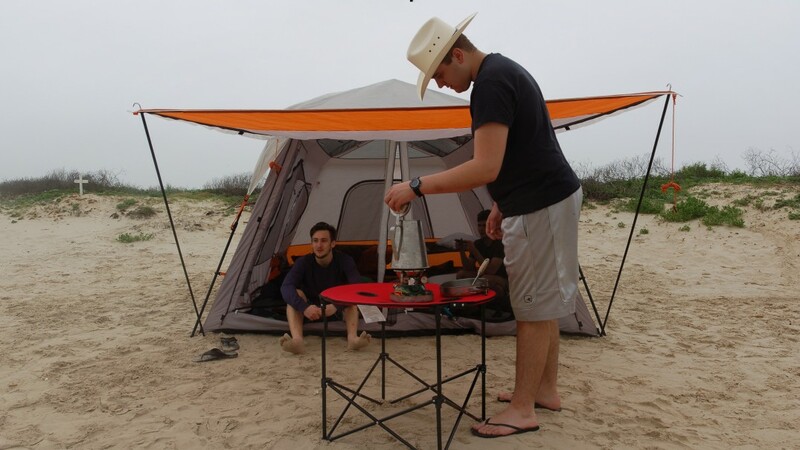 The break began with four of my friends and I driving down to Crystal Beach, Texas to camp on the beach. The beach was full of college students attempting to have a good time. My friends and I were definitely the calmest people on the beach. We had fun swimming in the ocean and reading the Bible on the beach. Sand!! There was sand everywhere. My friends and I had our fun and packed up for home. We made it back late the first Sunday of the break. Next, I spent my week at work. I worked from 8 a.m. to 5 p.m. Monday through Thursday. I spent Friday and Saturday at an Apologetics conference. The conference was titled “Stand Firm.” Dr. Anderson and six students, including myself, attended. The conference took place at Southern Seminary in Texas. The experience had multiple benefits. On the surface, there was the benefit of extra credit for a class. There was also the free hotel room and chance to view a seminary. The conference itself was outstanding and very educational. Then, there was the chance to get to know a professor. Dr. Anderson really allowed himself to be known and understood. All of the guys seemed to be at ease and having lots of fun. This is something that I love about OBU. The professors here are not just teachers, they are ministers and they love their students. Dr. Anderson is one of many professors who have taken the time to get to know me personally. He was kind and really wanted to understand my and others’ beliefs. This characteristic of OBU’s professors will keep me here until I have my degree. I would argue that it is the best thing about OBU. I finished my break by driving over to Monroe, Oklahoma for a church interview. The position is for this summer. I received the job and will be there for ten weeks this summer. Spring break is a unique experience for all students. There is one thing that all students have. There is always a way to have fun and learn. I encourage all students to make a personal relationship with not only other students but with professors as well.